Streaming device platform Roku (NASDAQ:ROKU) was once one of the hottest stocks on Wall Street. Roku stock went public at $14 in September 2017. By September 2018, it was nearly an $80 stock. Tech stocks dropped. High-flying stocks were slaughtered. And Roku stock was no exception. The stock now trades at $55, more than 30% off recent highs. But, this isn’t the end of ROKU … this is actually the time to get bullish on Roku stock. This company’s long-term growth prospects are quite promising and supported by some of the strongest secular growth trends in the market. Meanwhile, valuation is compelling at current levels relative to both long-term growth prospects and high-growth tech peers. Near-term streaming trends are favorable. Analysts are upgrading the stock. Estimates are moving higher. Technicals are improving. Earnings are next week, and those numbers should be quite good. All together, there are lot of reasons to like Roku stock on this dip. As such, I don’t think recent weakness is the end of this stock’s rally. Instead, it is simply a healthy near-term correction that will ultimately end with Roku stock resuming its long-term uptrend. Despite recent weakness in Roku stock, that sell-off has more to do with broader tech weakness than a deterioration of the fundamentals at Roku Inc. If anything, those fundamentals have only improved over the past several months. Roku stock is a pure play on the internet entertainment revolution. This revolution appears to be gaining momentum, not losing it. Netflix (NASDAQ:NFLX) reported strong subscriber growth numbers last quarter. So did Spotify (NYSE:SPOT). AT&T (NYSE:T) reported strong growth numbers for DirecTV NOW, while Amazon (NASDAQ:AMZN) highlighted Prime Video as a strong segment due to NFL games. YouTube remained a bright spot at Alphabet (NASDAQ:GOOGL, NASDAQ:GOOG). Meanwhile, all traditional media giants from AT&T to Comcast (NASDAQ:CMCSA) continue to report linear video weakness. The trends supporting the internet entertainment revolution remain robust. Moreover, the trends supporting accelerated adoption of Roku devices within that broad revolution remain equally robust. ROKU just launched its low-cost 4K streaming device Premiere, and early reviews are very good. ROKU is simultaneously and rapidly expanding its smart TV presence. Google search trends related to “Roku” and “Roku TV” continue to show favorable up-trends. 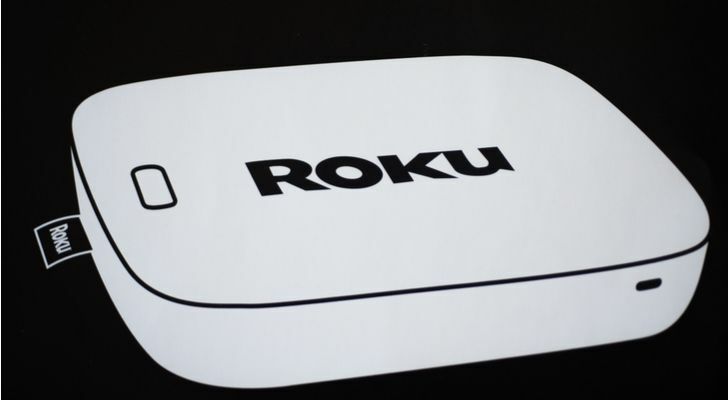 Overall, both the macro and micro trends underlying Roku stock remain favorable. That is why both RBC and Wedbush have upgraded Roku stock recently, calling the recent sell-off overdone. It is perhaps also why Morgan Stanley is buying Roku stock in bulk. All of these tailwinds are converging on a stock that is down 30% over the past few weeks ahead of an earnings report. Given secular tailwinds, that earnings report should be pretty good. Pretty good numbers should be enough to substantially lift Roku stock, considering its recent 30% plunge. Near-term dynamics look favorable for a post-earnings pop in Roku stock. But, the truly exciting thing about Roku stock is the potential upside in a long-term window. As the number of streaming subscribers and streaming services inevitably grows over the next several years, demand for Roku Inc’s centralized OTT ecosystem will grow, too. The more streaming services there are, the greater the need for a place for consumers to aggregate all of those streaming services. And, as more consumers stream, there will be more ROKU devices and Roku TVs in the world (it’s important to note that Roku has a nearly 25% share of all the smart TVs sold in the U.S.). Meanwhile, as goes the streaming market, so goes the OTT advertising market. A consistent pattern in recent history is that ad dollars follow engagement. When engagement went from print to TV, ad dollars followed suit. Likewise, when engagement went from non-digital channels to digital channels, ad dollars made the same trip. Thus, as engagement goes from linear TV to internet TV, ad dollars will inevitably follow suit. As the global leader in the streaming-device market, Roku Inc’s Roku Channel service is well-positioned to win the lion’s share of those ad dollars. These two addressable markets aren’t small. The linear TV ad market measured $200 billion globally, and total media ad spending is growing at a 7% rate, so the internet TV ad market could easily measure $300 billion within the decade. Meanwhile, global internet TV subs are expected to top 450 million by 2022, and likely hit 600 million or more in a decade. At $10 per month, that equates to a $72 billion streaming sub market. All together, then, Roku is gaining share in a near $400 billion market. Roku’s current market cap is $6 billion. Thus, potential upside in a long-term window is compelling. Roku Inc has been beaten and bruised over the past several weeks, but the fundamentals remain strong and the valuation is compelling ahead of earnings. As such, earnings could provide a lift to Roku stock, and ultimately get it back on its winning path. As of this writing, Luke Lango was long ROKU, NFLX, T, AMZN and GOOG. Article printed from InvestorPlace Media, https://investorplace.com/2018/11/why-roku-stock-is-a-compelling-buy-on-this-dip/.